Most people in the United States don’t live near an ocean. For many people living in places like Kansas or Wyoming, a chance to spend time near the ocean makes for an ideal vacation. It can also allow them the opportunity to go big game fishing, which is something they cannot do at home. Big game fishing is a form of recreational fishing that takes place offshore, in the ocean, with a sporting quality to it. 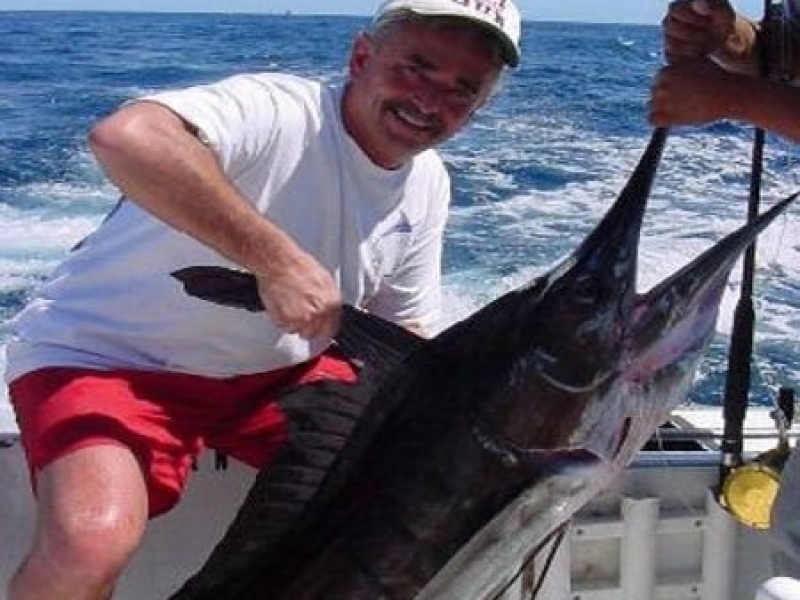 Big game fishermen go after rather large fish such as Tuna, Swordfish and Marlin. Thanks to the invention of motorboats, big game fishing really took off in the 20th Century. Today, it’s a whole industry, with many companies devoted to giving people the experience of a lifetime out on the open waters of the ocean. Indeed, boats are specifically built for big game fishing and countless people plan a big game fishing trip to enhance their oceanside vacation. Güerita Sportfishing is who you should connect with when you’re in Cabo San Lucas. Even though Cabo is in Spanish-speaking Mexico, the crew of Güerita II, the fishing boat, speak English. After all, Cabo is a resort city which gets a lot of tourists from around the world. The boat crew are focused on helping you have a big game fishing experience where you’ll be able to take pictures that’ll amaze your friends at home. Heck, you might even end up taking home a trophy Marlin, Wahoo or Sailfish to proudly display for years to come! Güerita Sportfishing operates on the Sea of Cortez and the Pacific side of Los Cabos. Rather than just show up at the docks and go with any fishing charter available– some of whom could be less than reputable– it’s best to plan ahead (for you and your friends/family) in order to ensure the deep sea trip’s a great one.